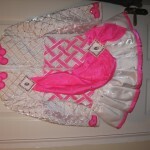 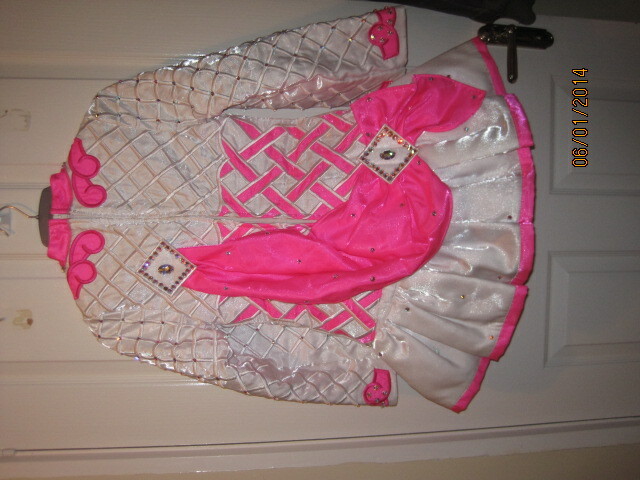 Fluorescent Pink and Twinkle White Satin costume for sale. 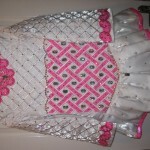 Spotlessly clean and in perfect condition. 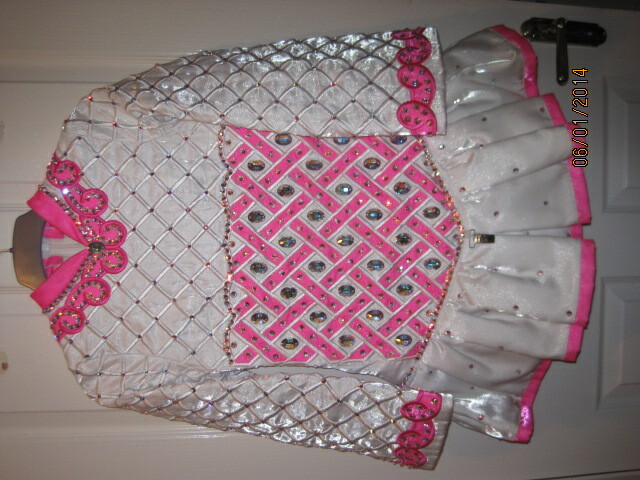 Covered in hundreds of swarovski crystals.